Setup was easy - unpack the components, connect the wires, and run Audyssey, Onkyo's automatic speaker calibration technology. The system is impressive and the Sony picture is excellent. But when I caught sight of the pile of remote controls, I got concerned. The system would be way too complex for my family. I cou nted 5 remote controls and each unique and optimized to control its components. Some offer support to control other components, but it's limited with a painful programming interface. So I went looking for a better solution. I found the Logitech Harmony One Remote Control. Setup is very cool - install software on either a PC or Mac, update, and program. The remote works on activity-based profiles like watch TV or listen to digital music. Once your programming is complete, connect the remote to your computer via USB, and let the computer program the remote. If you don't get the behavior that you want, simply go back the computer to adjust the profile until you get it right. As well, the remote's help mode lets it adapt and learn when you don't get everything right. The remote has a small touch screen that lists the profiles and functions for the devices that it controls. The software supports a huge number of devices. And because it's software based, it can easily be updated to improve its capabilities as well as update its device support. Once the Harmony One is programmed, it's simple enough for any family member to operate. Everyone in my family loves it. It looks cool. It's easy to operate. It lets us control everything from a single remote control. It's reasonably priced at a MRSP of $249.99. I think that it's best in its class. 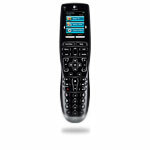 Check it out here: http://www.logitech.com. I like to listen to music. My tastes are eclectic – so I'm always looking for new artists. I have a couple of places that I go to help me. I read Paste, a magazine mostly about independent music and film. I subscribe to Microsoft's Zune music service. For $14.99 a month, I have unlimited access to its entire library. It's very cool and while it doesn't have the depth of iTunes, it rocks. I have full access to a growing library of music – as much as I want when I want it. My iPod devote friends actually get jealous when I tell them about it. I recently added to my music finding tools when I found Pandora. It's is perhaps the coolest music discovering tool available! Big statement huh? Pandora deserves it. Pandora started with the Music Genome Project. "Since we started back in 2000, we have been hard at work on the Music Genome Project. It's the most comprehensive analysis of music ever undertaken. Together our team of fifty musician-analysts has been listening to music, one song at a time, studying and collecting literally hundreds of musical details on every song. It takes 20-30 minutes per song to capture all of the little details that give each recording its magical sound - melody, harmony, instrumentation, rhythm, vocals, lyrics ... and more - close to 400 attributes! We continue this work every day to keep up with the incredible flow of great new music coming from studios, stadiums and garages around the country." Pandora's interface is simple and inviting – it gets you started quickly. Basically, you enter either a musician or a song and Pandora will build a radio station around it. It offers songs that are similar to the musician or song continuously. You can add additional musicians or songs to your radio station or create new radio stations. If you register on the site, it will remember your radio stations. Follow the link below and give it a try. I haven't found anyone who doesn't think its way cool. Now you can Consider It (Your music listen) Fixed!